Our family values a philanthropic attitude because sharing success leaves a legacy of which we can all be proud. 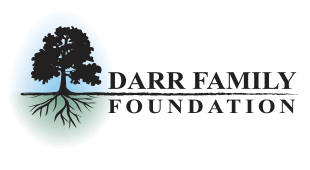 The Darr Family Foundation was founded in 2002 by William H. (Bill) Darr and his family to perpetuate his dedication to providing support for those in need. The mission of the Darr Family foundation is to empower at-risk youth to overcome barriers to opportunity. Staying true to this mission, in 2018, the foundation will embark upon a new endeavor focused on long-term change within local early childhood education and literacy systems. Click here to learn more. Since its inception, the Foundation has awarded more than $2.6 million to agencies operating in southwest Missouri and those communities that host operating facilities for ADF, IDF, FITCO, and IsoNova. Organizations located in the geographical service area with programming that aligns with the mission of DFF may start the application process by contacting foundation Executive Director, Heather Zoromski, at hzoromski@darrfbc.com or 417-888-1495. © 2019 Darr Family Foundation.